We all have different tastes, excuse the pun, but food and dining are a huge part of planning your vacation. Especially, a Walt Disney World vacation. Walt Disney World introduced its current form of Disney Dining Plan in 2005. At that time, there was only one plan and it included not only your snack, your counter service meal and your table service/character meal, but also appetizers and gratuity/tips and all for $37.99 per adult and $9.99 per child. Unfortunately, that incredible savings and simplicity are a thing of the past. Now Walt Disney World offers 3 tiers of Disney Dining Plans all with different inclusions and exclusions and none of them cover your gratuity/tip anymore. So, hopefully, this Disney Dining Plan Q&A will help you sift through all of the Dining Plan lingo and information out there, make your Walt Disney World Planning less stressful and help you to have an even more magical vacation. The Disney Dining Plan is a package option only available to guests staying at a Disney owned resort and booked under a Magic Your Way Package that includes room and tickets. What are the Disney Dining Plan options? This plan entitles each person in your party to 1 refillable resort mug, 2 counter service meals and 1 snack per person, per night of stay. A counter service meal consists of 1 combo meal or one 1 entree and a side, 1 non-alcoholic beverage and 1 dessert. This is the most popular plan with Disney resort guests. It includes 1 refillable resort mug, 1 Table Service meal, 1 Counter Service Meal and 1 Snack per person, per night of stay. A table service meal consists of 1 entree and side, 1 non-alcoholic beverage and 1 dessert. Appetizers and gratuity/tips are not included in this Dining Plan. This plan entitles each person in your party to 1 refillable resort mug, 3 meal credits, which can be used for table service or counter service meals, and 2 snacks per person, per night of stay. Appetizers are included with the table service meals on this plan. Tips/gratuity are not included. What is the cost of the Disney Dining Plan? Is the Disney Dining Plan a good value for your family/group? The value of the Disney Dining Plan can be subjective. With the prices going up each year, it is harder to get the value out of the Dining Plan that you once could. From personal experience, I found that we broke even on the Quick Service Plan, saved about $200.00 vs. out-of-pocket with the Basic/Plus Dining Plan and probably would have lost money on the Deluxe Dining, but luckily did not pay full price because we had upgraded through a free dining promo. Each family and each vacation is unique, but basically, if you plan to eat all of your meals on Disney property, the Dining Plan can still be worth purchasing, you just have to plan ahead and decide how big a role dining and dining reservations will play in your Walt Disney World vacation. Planning is key for the Basic/Plus Dining Plan and the Deluxe Dining Plan because you don’t want to pre-pay for all of your meals and then get to Disney and not be able to get seating for any of the popular restaurants or character meals. Also, some people like to book the Disney Dining Plan completely based on convenience – the convenience of having your entire trip pre-paid, for an all-inclusive feel, even if it’s not a huge money saver. If you want the convenience of having pre-paid meals, but don’t want to make dining reservations 6 months ahead of time, don’t want to plan your park days around dining reservations and don’t mind eating counter service meals for the majority of your trip, then the Quick Service Dining Plan is for you. A lot of people book this dining plan and then make one or two table service/character meal reservations that they pay for out-of-pocket thus they are not tied to dining reservations each day of their trip. If you don’t mind planning your meals well in advance or don’t mind planning your park days around one dining reservation per day and you want to enjoy the character meals and/or popular Disney restaurants then the Basic/Plus Dining Plan would be a good choice for your vacation. Advance Dining Reservations can be made 180 days in advance, and with the popularity of the Disney Dining Plans, reservations are a necessity for table service restaurants and character meals. If you plan to eat at least one table service/character meal per day, you can save money with this plan. Personally, we have found this to be the best Dining Plan for our family. Our favorite character meals and favorite Disney restaurants are part of the magical Disney vacation experience for us. A table service meal, on average, takes about 1.5 hours and while some people don’t even want to take an hour out of their park day, I find it nice to sit down for a shor t time, relax and have a nice meal. Also, if you can see your favorite characters at some of the character meals, then that’s less time you have to wait in line to see them in the parks. As for the Deluxe Dining Plan, it has gotten very expensive, especially with the coming 2013 price increases, you have to be very specific about how you use your dining credits so you do not lose money. 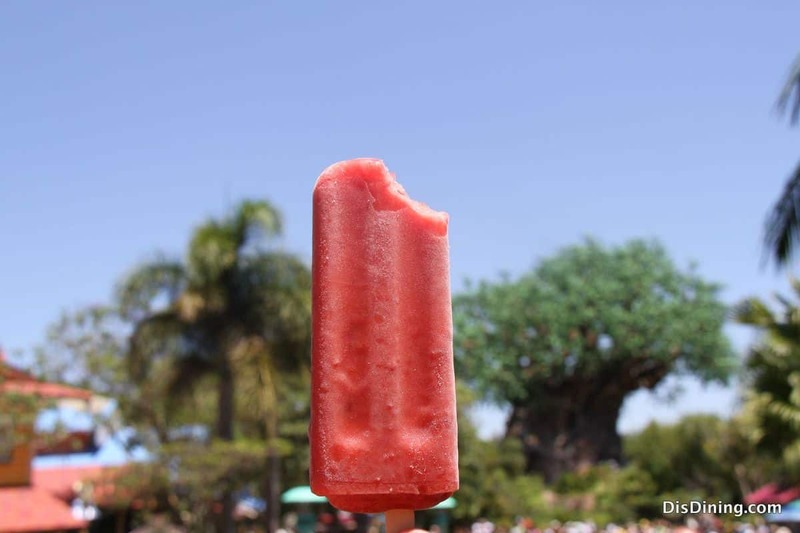 If you purchase this plan you have to really have a love of Disney dining and food and be prepared to take out a bigger chunk of park time to enjoy all of the meals that are included with this plan. You actually get 3 meal credits you can use at counter service or table service meals, but to get your monies worth and come out ahead, you really need to use all of the credits for table service or character meals. But then you fall into the trap of spending the majority of your park day eating or going to and from meals – it could literally take 6 hours out of your park day to do 3 table service and/or character meals per day. What I recommend in this situation is to use 1 table service credit for an early breakfast, use your snack credits for a mid-day snack and drink and then book only 2 credit table service meals or dinner shows for your nighttime meals. This way you are using all of your dining credits and still maximizing your park time. Once you check in to your resort, you will be given a Key To the World (KTTW) Card (looks like a credit card), which will be your room key, your ticket to the parks and will contain your dining credits. The amount of dining plan credits you receive is based on the number of nights you are staying at your resort and is not tied to the number of days on your park tickets. Your dining credits are available from the time you check in until midnight on the day you check out of your resort. You may use your dining credits in any order, on any day – meaning, if you choose, you could do 2 table service/character meals one day and then do 2 counter service meals the next day. If you do not add the dining plan to your reservation when booking, you can call back later and add the plan, but it must be added at least 72 hours before check in. The Dining Plan can not be added at check in. At counter service locations you will “pay” for your meal by giving your KTTW card to the cashier to deduct your dining credits. At table service and character meals you will give your server your KTTW card after the meal and they will deduct your dining credits. Groups of 6 or more will be charged an automatic 18% gratuity/tip. They will automatically charge your gratuity/tip back to your resort room, so if you want to pay cash for your gratuity/tip you need to tell them before they deduct your credits and finalize your bill. Each time you “pay” for a meal, your remaining dining credits will be at the bottom of all restaurant receipts. Can I purchase the Disney Dining Plan for a child 2 years of age or under? No, children under age 2 are not eligible for the dining plan. They can either share off another family members plate or you must pay out of pocket for their meal. You have the option of upgrading them to the age of 3 years so you can purchase the plan, but in that instance you also have to purchase park tickets for the child. Children ages 3-9 must order off the child’s menu when one is available. *Seating is available only for Category 2 or 3 when using the Disney Dining Plan to pay for the dinner shows and is subject to availability. You can pick up your dinner show tickets at the Concierge or Customer Service desk at your Disney Resort Hotel prior to arriving at the show. Are substitutions allowed with the Disney Dining Plan? Generally, no, but there are a couple of exceptions. At counter service restaurants you can choose a bottle of water, or if available, a piece of fruit as a substitution for a dessert. At the Whispering Canyon Cafe you can substitute your beverage for a milkshake. Are any menu items excluded from the Disney Dining Plan? Generally, no, but with a couple of exceptions. The Kitchen Sink ice cream dessert at Beaches and Cream, the Royal Feast at Marrakesh and Prix Fixe Tasting Menu at The Flying Fish Cafe, as all of those menu items are prepared for 2 or more people. Can Disney Vacations Club (DVC) members and people renting DVC points purchase the Disney Dining Plan? Yes, DVC members and people renting points from DVC members can purchase the Dining Plan. It must be paid in full when added to the reservation and must be added at least 48 hours before check in. Although DVC members and people renting DVC points can purchase the Dining Plan, they can not take advantage of or apply a Free Dining discount to a DVC reservation. Wow! I know that is a lot of information, but hopefully this will answer any Dining Plan questions you might have as you try to plan your next trip to Walt Disney World. Have a magical vacation! I'm a married Mom of four great kids and I have a serious love of all things Disney - our two dogs are even named Buzz and Woody :-) I grew up going to Walt Disney World, but my husband didn't. It took me a little while to finally convince him we needed to visit Disney for a family vacation, but once our kids were 2, 3, 4 and 7 I told him I could not wait any longer! Well, after that first visit, he was hooked too and over the last 8 years we have grown to love Disney even more. We now go to Disney at least once or twice per year and in 2006 we went to Disneyland, in Anaheim, California, for the first time and fell in love with it also. We have a large family, so I'm always on the lookout for the best Disney discounts so we can continue our annual pilgrimages. LOVE free dining discounts! Over the years I became a "super planner" and had a lot of people asking for help in planning their family trips to Disney, so a couple of years ago I started my own planning page called, Dis-Girl. I use my page to share current Disney planning info and discounts and I welcome questions and discussions about all things Disney. I also plan Disney trips with customized park itineraries for all U.S. Disney parks. You can contact me at disgirl1971@aol.com or through my Facebook page, Dis-Girl.